Of course, we walk an even finer line. Today’s world is very casual and a man in a tie is often noticed and remarked upon. Not always favourably. Suits are still required at certain levels of corporate success. Suits are the easiest thing to dress in, at any rate. Blazers and sports coats, at least in Richmond, VA, are far more prevalent. That’s if some level of dress code,written or unwritten, is enforced at all. 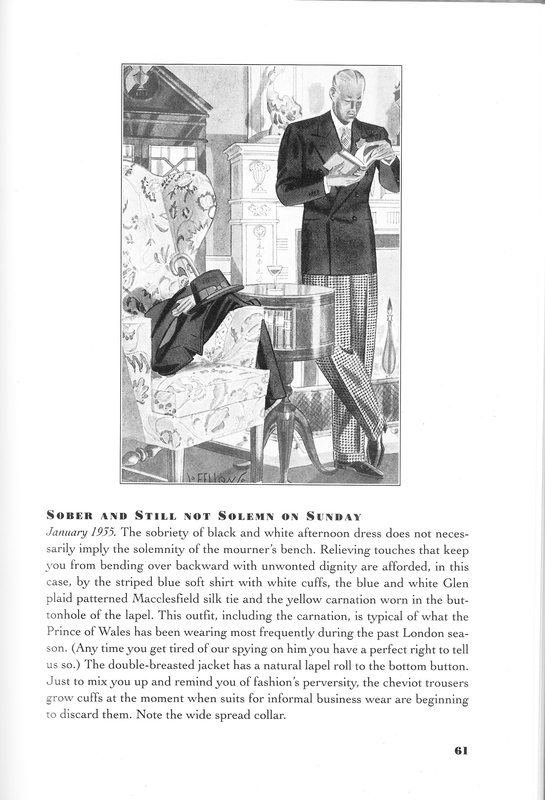 Before there were blazers, men would split apart their suits and wear the top parts with odd trousers on holidays. The striped trousers and black frock coats of formal day dress still held sway for bankers and the like during those days. Soon after WWI, that began to change and eventually the striped trouser and dark coat was relegated to shop keepers. 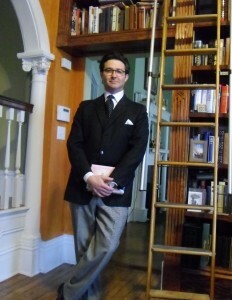 During the day, one could resort to a stroller and patterned trousers for very formal days. 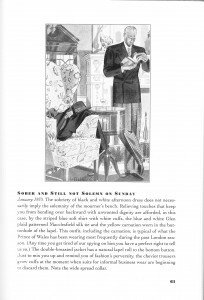 The vest and coat from Mrs. E.’s grandfather’s suit by Gieves looks well with the houndstooth trouser, in my opinion. I thought to replicated the stroller look seen above in a page from my copy of “Men In Style.” Today, this will be seen as costume. 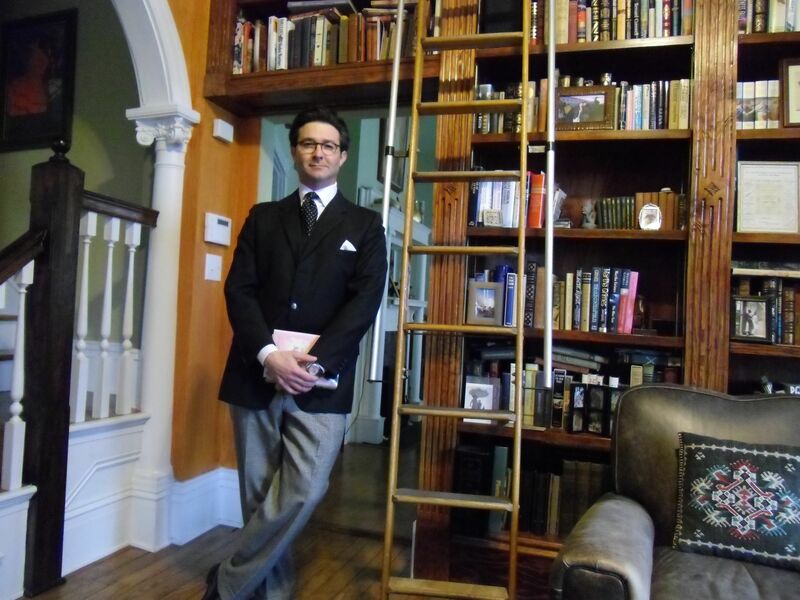 This entry was posted in Elegantology and tagged "Men in Style", Beau Brummel, Richmond VA, Strollers. Bookmark the permalink. I for one like to see the variety of styles just as in womens wear. I love a good looking jacket with fine trousers!